Most altcoins seem to tweak technical or monetary principles. Here’s one with a single purpose: to promote renewable energy. It’s called solarcoin, and people are mining it now. The brainchild of Nick Gogerty, principal at Thoughtful Capital Group and self-proclaimed “deep finance geek”, solarcoin is designed to reward people for producing energy via photovoltaic solar panels. Gogerty, who advises hedge and mutual funds on equity investing, is all about the mechanics of value creation. He has a book coming out on how to create value in the adaptive economy. The initiative is based on a paper that Gogerty co-authored in 2011. “The concept was how a central bank could use energy as a currency and how that could tie into an economy. Nothing came of that, due to the fact that you needed a central bank,” he says. The initiative is designed to encourage the generation of solar energy over a 40-year period. Solarcoin maps directly to solar power. Each one of them would be worth 1Mw of electricity. Coins would be awarded based on a proof of work, but instead of computational, the proof would be mostly physical – an organization or company would be given a solarcoin for every 1Mw/hour of energy that they produced using their photovoltaic solar arrays. There is a 98.1bn coin cap, and 97.5bn of them have been created from scratch. They are held by an organization called the Open Currency Association, which will grant them to generators over time. 105m coins will be mined, to kickstart the network. The remaining 500m will be in a ‘genesis pool account’, intended for environment groups, early volunteers and advisors. How will people get these coins? You can mine them (yes, that chews up energy, but the team has chosen scrypt for the proof of work, so at least it won’t encourage a race for computing power). You can buy them on the open market – Gogerty anticipates a price in the $20-$30 window over the next 3-5 years if all goes to plan – or you can get them as a reward for your solar power generation. The latter option is the coin’s real purpose, Gogerty says; the mining part is simply there because the coin needs a network. People in the US will be able to provide their Solar Renewable Energy Certificate (SREC) ID for the appropriate quantity of coins. These certificates are tax incentives from US states that offer them, and are themselves traded on the open market. The solarcoin site says that every megawatt-hour of electricity generated through a solar PV panel avoids more than 1,500 lbs of carbon dioxide (CO2), along with over five lbs of sulfur dioxide (SO2), and almost two lbs of nitrogen oxide (NOx). We assume they’re talking about coal plant pollution here. Gogerty has good timing, for two reasons. Firstly, fossil plant pollution is a hot button in the US at the moment. On Jan 8th, the Environment Protection Agency announced rules that would limit emissions from coal plants, and it has sent Republican leaders into a frenzy. Secondly, the solar industry is due for a renaissance, according to analysts. In a recent research note, Deutsche Bank Markets Research predicted a “second gold rush” for PV installations, driven by a variety of factors. The Bank predicted that around 46GW of solar energy would be installed worldwide this year, and approximately 56GW next year, revising its previous forecast upwards. 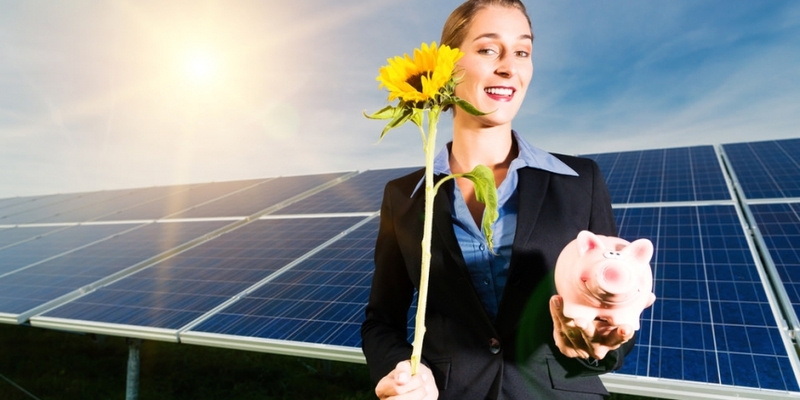 One of the big drivers would be leasing options in the residential solar market, it said. Rooftop installers now offer residential customers the chance to lease the solar equipment, avoiding the up front capital expenditure while taking advantage of the power benefits. Customers are likely to race to install solar in the next couple of years, because the US government’s Solar Investment Tax Credit runs out in 2016. The OCA would also work with utility-scale providers, who can also benefit from SRECs, says Gogerty. These massive providers generally build large solar arrays out in the desert. Solarcoin may be a tougher sell for those companies, who rely on venture funding and other private capital for their project financing (and that has been relatively thin on the ground lately). There are drawbacks. One of them is that, whereas most altcoins are designed to be independent of geography or government, the OCA’s paperwork may have to be retooled for different countries. They all have different regulatory and incentive frameworks which would affect how the coin works, and the OCA – which doesn’t even have a charter yet – will need to work with each of them independently to get the coin up and running. That’s a lot of work for a volunteer-driven organization. Nevertheless, Gogerty names Germany (a huge market for solar) and the UK as two pivotal future markets for solarcoin. “The more that we can scale and work with different governments and regulatory regimes to get this coin out, the better,” he says. Would the existence of a solarcoin persuade you to invest in that rooftop array? Tell us in the comments.